One of the most popular home remodel jobs is a kitchen makeover. Not only will this type of project increase the value in your home but it will also give you an opportunity to finally get the kitchen you’ve always wanted. Before diving into the remodel project you’ll want to take into consideration a couple of factors. First of all, gather up a lot of opinions about what you could do. It’s not just about replacing counter tops and cabinet doors. Start with a trip to your nearest Home Depot type of store. They’ll have plenty of options to get you going. As you settle on the type of work you want done you’ll have two ways to go: Do it yourself or hire a contract. If you go for a contractor make sure you shop around and get some competitive bids. You also want a contractor who “gets” your vision of the new kitchen. Having someone who is creative and has a decent portfolio of previous work is going to make the project go a lot smoother. Take your time planning out what you want done. The more time you spend looking through magazines and picking the right features the more you’ll end up saving. It might also be a good idea to do some of the prep work yourself. For instance you could do some of the demolition yourself. This doesn’t mean taking dynamite to your kitchen. The demolition phase of a remodeling job essentially means removing the old stuff. In this case it might be all the cabinets and countertops. Here’s where you’ll find Junk King Colorado Springs a terrific ally. Junk King specializes in all kinds of junk removal. One big help is with taking away all kinds of construction waste. After pulling down the cabinets you can make a pile of the scraps right in your kitchen or on your porch. The Junk King crew will then show up for the removal and take it from there. Hiring Junk King for this phase of the remodeling could end up saving you money as well. That’s because Junk King will only be charging you for the amount of space your trash takes up on their truck. There are no labor costs or dumping fees like you would be charged with a contractor. While Junk King Colorado Springs is working on removal your old cabinets they can also take away any other bulky item you want to finally toss out. This includes furniture, mattresses, bedroom sets and for the kitchen remodel you’ll be able to get rid of all those appliances you’re replacing like the stove, dishwasher or refrigerator. 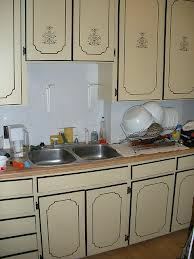 Get your kitchen remodel off on the right start with a call to Junk King. This entry was posted in Cabinet Disposal, Colorado furniture pickup, Colorado Furniture Recycling, Colorado Springs Hauling Service, Colorado Springs Junk Removal and tagged Cabinet Disposal, Colorado Springs Cabinet Removal, Furniture Pickup Colorado, Get Rid of Cabinets on February 19, 2013 by John Busby. Last updated August 2, 2017 .